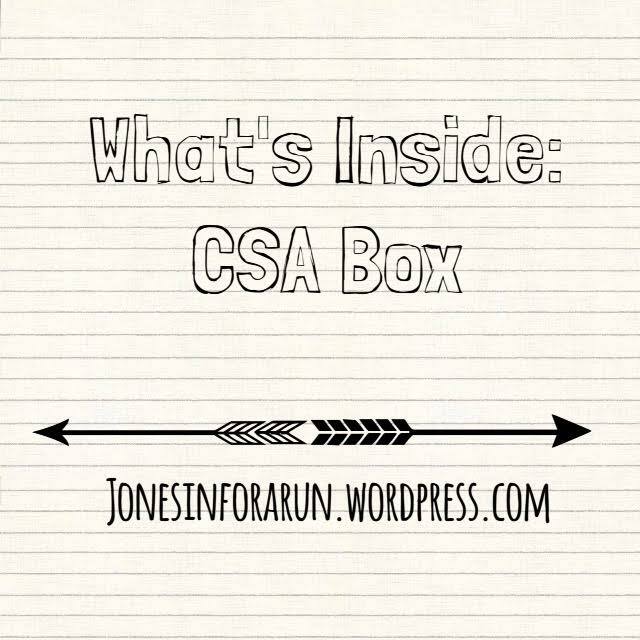 OK so you may be wondering what happened to CSA Box Week 5,6,7 & 8… well do not worry. It was fabulous and lots of delicious things were made like: Peach Dumplings, Vegetable Beef Soup, Mini Eggplant Pizzas, Double Chocolate Zucchini Bread, Cold Green Bean Salad (pictured below) and other goodies. Luckily Courtney has broken out of her cave called “work” and shared with us her week 9 CSA box. Check it out! Wow, time has just flown by. It’s week 9 of Fifer’s CSA program, and boy have we been busy this week! As summer has been progressing, we have been getting more and more fruit in our CSA box. Usually, I shovel that fruit down my gullet as fast as possible before Jimmy even realizes that it’s gone. 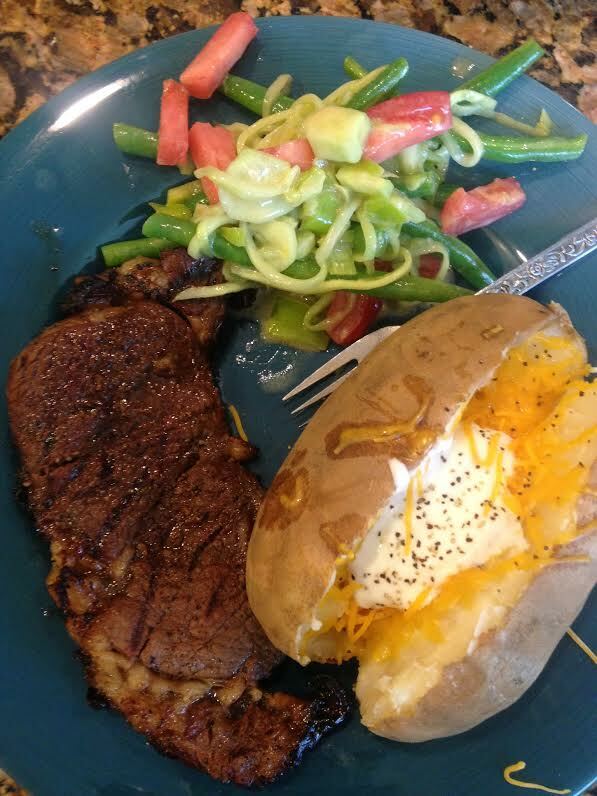 However, now that my job has finally slowed down (July could not get here fast enough)– I get off work at a reasonable hour which has given me more time to focus on my culinary skills. While the description says “Tart Cherries”, I did not find them too sour. I decided to try my hand at baking my first PIE! Who doesn’t love pie!?! It’s July 4th – and I decided to get crazy, slap my apron on, and do it up – Murica style. My mom sent me this EASY Recipe for cherry pie filling. The website is called “My Baking Addiction”, so I knew right off that bat this recipe would be amazing. As you can tell from the pic, the pie was on point. With some vanilla ice cream on the side, wow – I was one happy girl. I did however EAT back all the calories I burned on my ten mile run that morning – but it was so worth it. 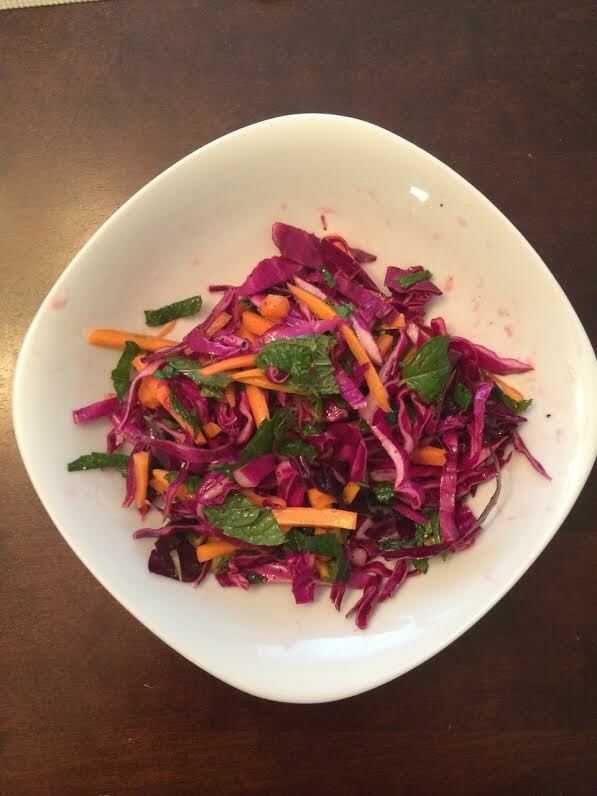 I also tried this Shredded cabbage, carrot, & mint salad. I wasn’t sure what to think initially only because there were just a few ingredients, but I love it! The mint and julienned carrots gave the salad a classy feel. (And yes, salads can be classy). This would be a great salad for a summer BBQ and would hold up well in the heat. 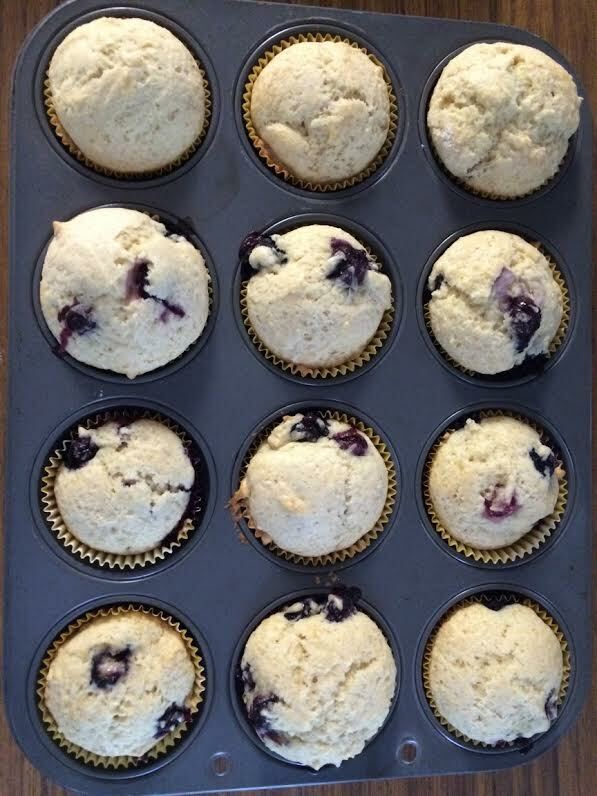 I also made a batch of blueberry muffins. My mom gave me a basic muffin batter recipe which is perfect to add in whatever you want! While I mostly use blueberries in the muffins, I occasionally use cranberries and apple chunks. The tomatoes were used to create a perfect BLT. And what goes perfect with a BLT? Corn on the cob! Sweet corn from Sussex County is the BEST! You can take me to bank on that statement. 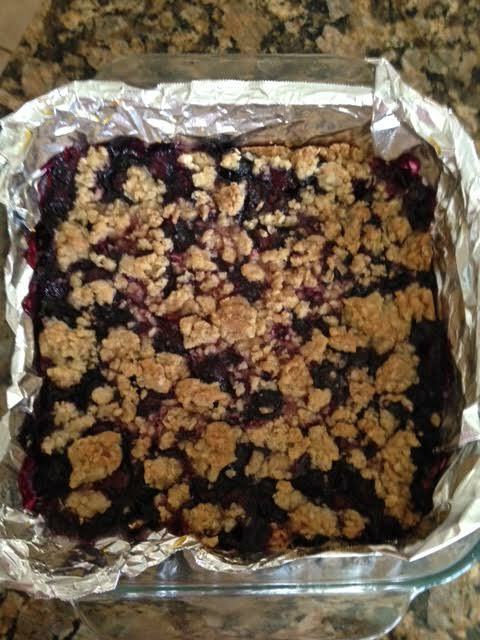 Kristen on the other hand went buck-wild with her blueberrys and made 2 blueberry cobblers (shown above- super easy recipe here)and a Blueberry Crumble (seen below). If you check out her “berries,berries” pinterest board there is more goodness there! 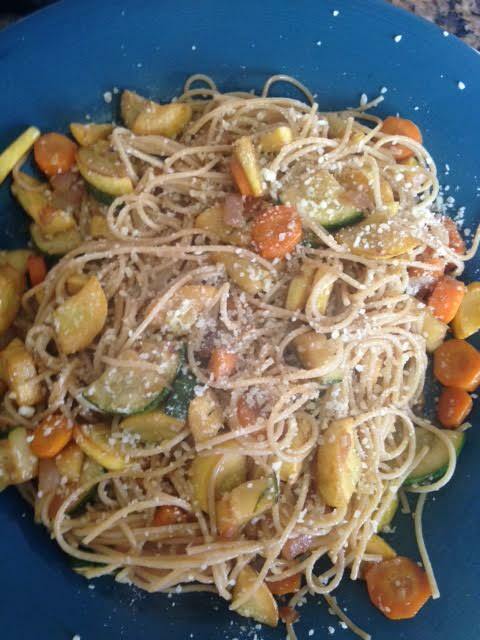 She also cooked down some vegetables (onion, carrots, squash and zucchini) to make this vegetable pasta dish! I asked her for the recipe but this was one of those experiments with no real measurements. What I do know is that she sauteed the onions and other vegetables and then she add some Marsala to de-glaze the dish. She then popped in a little bit of butter and garlic and let the vegetables soak in the flavor while on low. She mixed in some spaghetti and boom- light but oh so tasty pasta dinner for one! We both still have some other ingredients that need to be used it before box #10 gets here. We also have a very exciting CSA member appreciation event coming up this week! 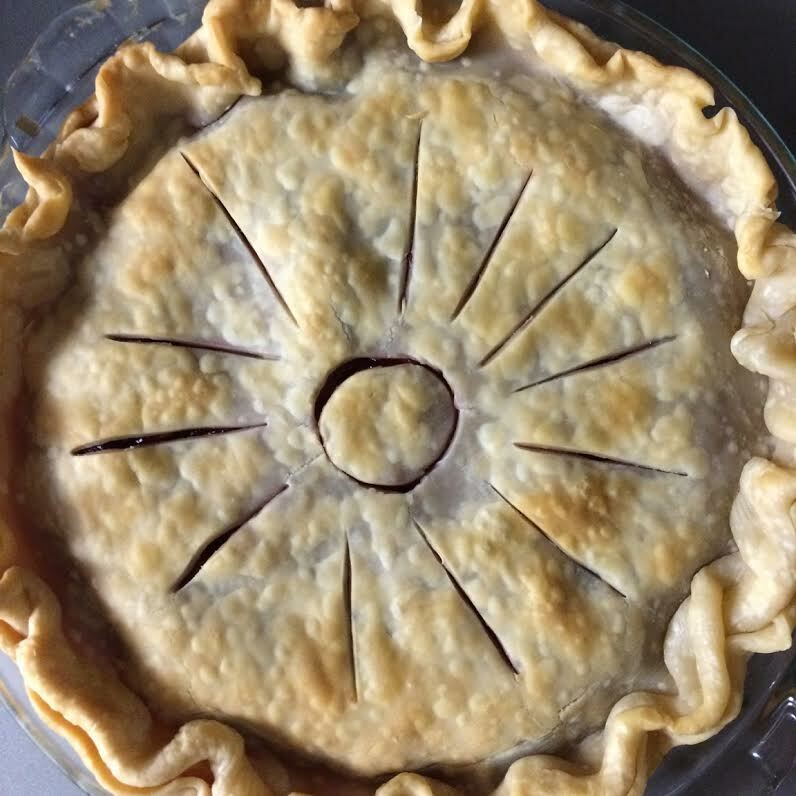 What is your favorite pie to make from scratch? 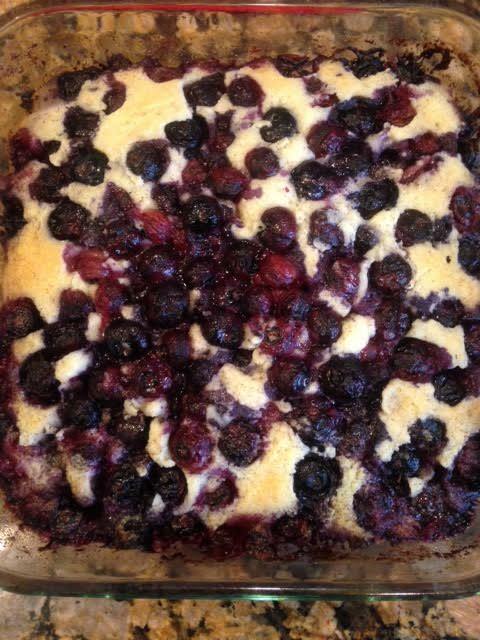 Do you have a favorite blueberry recipe?